There were no “April fools” at the historic meeting of Multiple District 5 held in Minot. 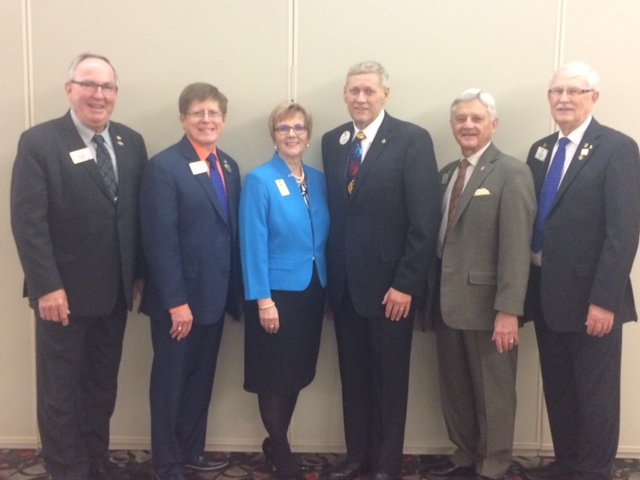 In addition to the spring Council of Governors’ meeting, Lions for all six Districts were on hand to endorse Past District Governor Patricia “Pat” Vannett for International Director. What made this meeting historic was the endorsement of District 5NW’s first candidate for International Director; and also, the endorsement of the first female candidate from MD5. The ID candidate couple poses with past directors (l-r): PID Marvin Chambers, PID Robert Littlefield, PDG Pat Vannett and spouse, PDG Kevin Vannett, PID Bruce Schwartz, PID Garnet Davis. The weekend began with training sessions for the Vice District Governors who benefitted from the Global Leadership and Global Membership Coordinators and their leadership experience at many levels of Lionism. These sessions will pay off in the future when these leaders demonstrate the effective management and motivational skills learned from these trainers. Going on simultaneously was an organized effort by the “Pat for ID Endorsement” Committee to get ready for the special convention. The excitement was clearly evident, as many Lions drove to Minot in order to show their support for PDG Pat. DG Mark and IPDG Judy get ready to demonstrate for ID Candidate Pat’s endorsement. 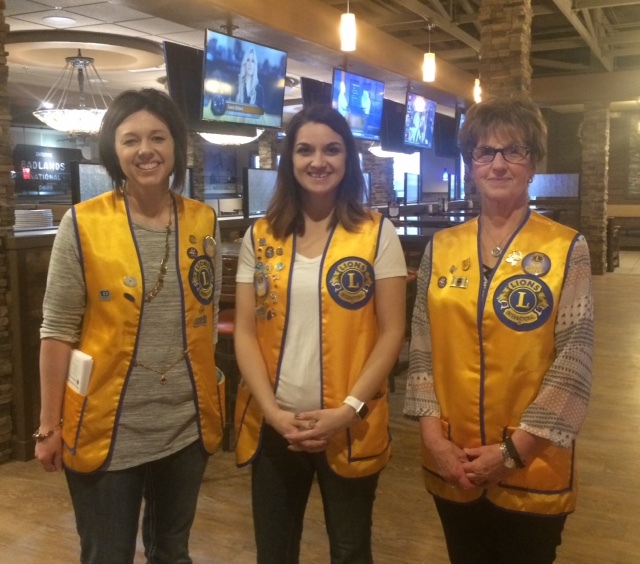 Saturday events started early, as the Magic City Lions Club hosted a delicious pancake breakfast fundraiser at Badland’s Restaurant. Many members of the Council of Governors went to support the local club fundraiser. The restaurant donated the space and cooked the food; while the Magic City Lions served. 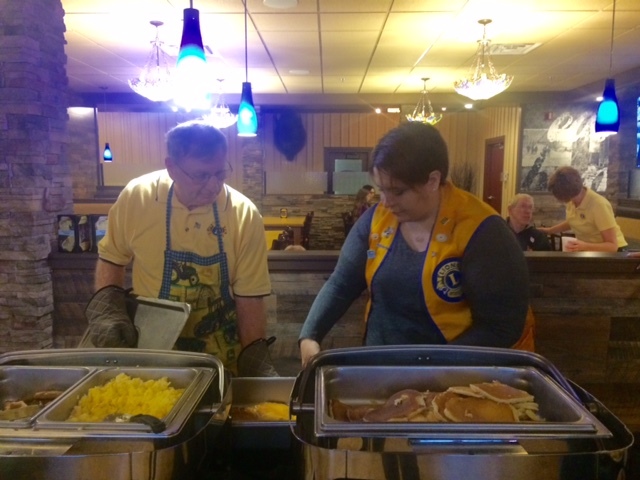 Minot Magic City Lions greeted the hungry public and invited us to come in and have breakfast! The food was great and the service even better! 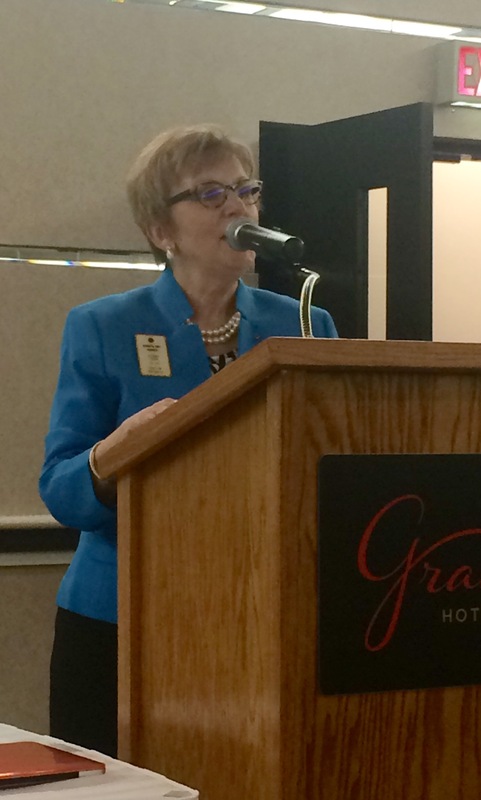 Council Chair Eunice Cameron (District 5-SKS in Saskatchewan) presided over her final working meeting of the Council in Minot; and demonstrated her ability to get things done, creating a positive climate for everyone while doing the work of the Multiple District. Another major item on the agenda was the planning for the MD Convention to be held in Deadwood, SD on May 17-20. 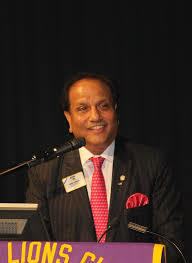 How memorable it will be for us to welcome incoming International President Naresh Aggarwal of India as our keynote speaker! Very exciting! 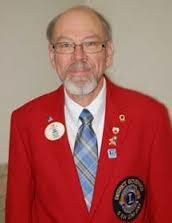 New Lion leaders were elected for the Multiple District on Saturday, including Council Chair-Elect, DG Terry Peterson (District 5-SW). Others elected included: Global Leadership Team Coordinator, CC Eunice Cameron (District 5-SKS); Global Membership Team Coordinator, PCC Ken Wetz (District 5SW); and Council Vice Chair, IPDG Mark Koller (5-NW). On Saturday afternoon, the certified delegates to the Special Convention were in place to vote on the endorsement of Mandan’s own, PDG Patricia Vannett, as the first woman to seek endorsement as an international director from MD5. 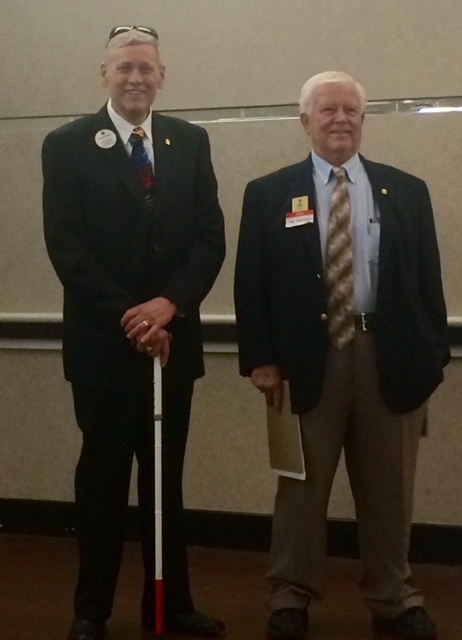 PDG Kevin Vannett and PDG Ken Gifford enjoy the wait before giving their endorsement speeches for PDG Pat! Endorsement in hand, PDG Pat brought the delegates to tears as she shared a story about the impact of Lions service on a six-month old child who needed assistance. 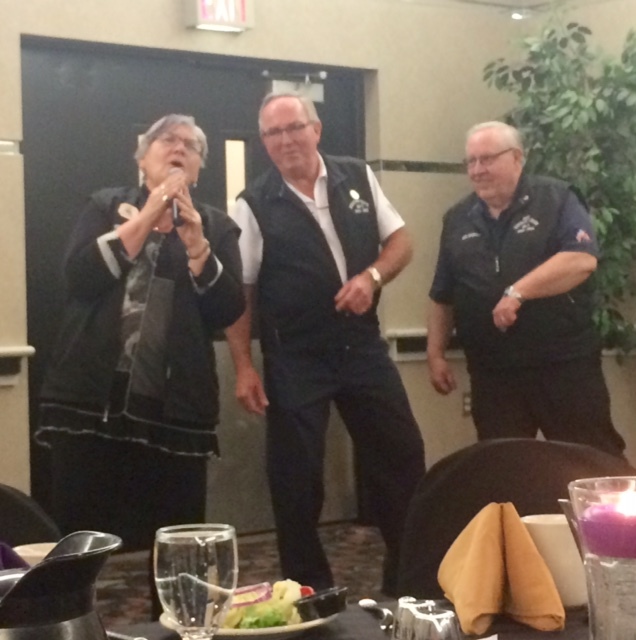 In the evening, the representatives from Saskatchewan were responsible for hosting and providing the entertainment. A bonus featured CC Eunice lip-singing with her back-up “singers and dancers”–“PCC Rick Pockett” and “PID Marvin Chambers”–so, no ‘great pretenders’ there! Congratulations to the North Dakota team from District 5NW for winning the “family feud” event. The convention and council meeting ended positively. Endorsed ID candidate Pat’s name now will move forward and her credentials be vetted by LCI’s Legal Department. After that step, her name will be in consideration, along with others from the United States who are seeking to be placed on the ballot as a candidate from Constitutional Area I. As Lion Kathy and I drove back to Fargo to catch our flight home, we were grateful for the opportunity to be part of this historic endorsement convention. 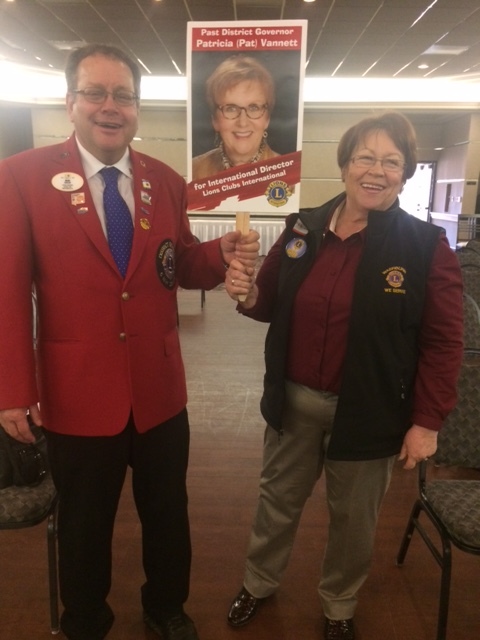 What a thrill to be part of the process for such a deserving Lion–PDG Patricia Vannett! Best wishes and continued success to all who serve!